Stadio Carlo Castellani was built between 1963 and 1965. It officially opened on 12 September 1965, though originally consisted of just one covered stand. Just like Empoli’s previous stadium, the new stadium got named after former player Carlo Castellani, who had died in a Nazi camp during World War 2. When Empoli promoted to the Serie B in 1983, a temporary stand got built opposite the main stand, which got replaced in 1990 by a permanent concrete one. A few years earlier, both curves had already been constructed. The Curva Nord was further extended in 1997. 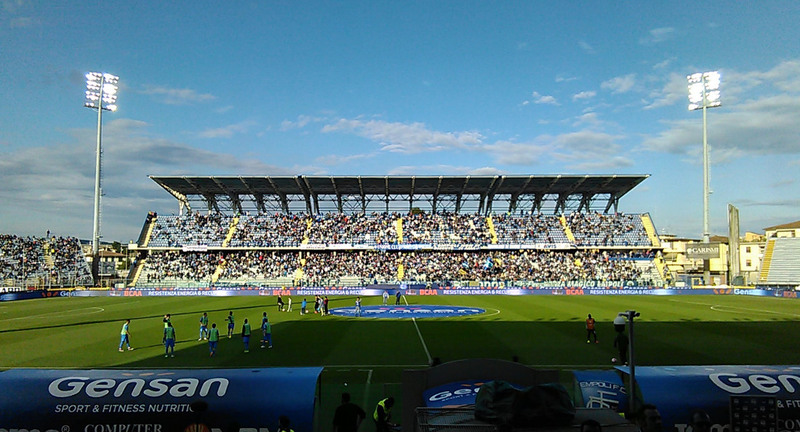 Stadio Carlo Castellani has however remained a very basic ground, in particular to Serie A standards, and in 2015 Empoli therefore presented plans to build a new stadium with a capacity of about 20,000 seats. They hope to be able to start construction by the end of 2017 or early 2018. 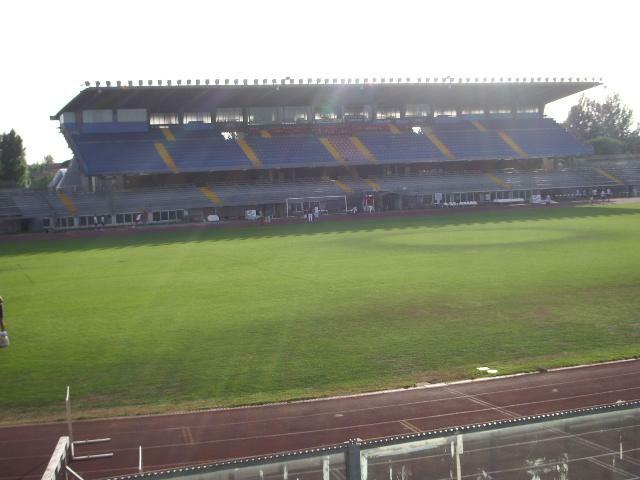 Stadio Carlo Castellani is located just north-east of the city centre of the small town of Empoli. The walk from the town’s train station takes only 15 minutes and even less from most city centre locations. There is a regular train service from Florence to Empoli. The journey takes about half an hour. If arriving by car, take exit Empoli Est from the motorway that runs south of the town, and follow the road into town. Staying on the same road will automatically lead you to the stadium. Tickets for Empoli games can be bought at the Empoli Store at Piazza della Vittoria in Empoli’s town centre, or at any Bookingshow sales outlets. Tickets are also available on the gate on the day of the match. Even in the Serie A Empoli rarely sell out. Tickets typically range in price from €15.00 for a seat behind the goal at the Curva Nord to between €40.00 and €85.00 for a seat on one of the sides. Tickets are €5.00 more expensive if bought on the day of the match. Empolicalcio.net – Official website of Empoli FC.